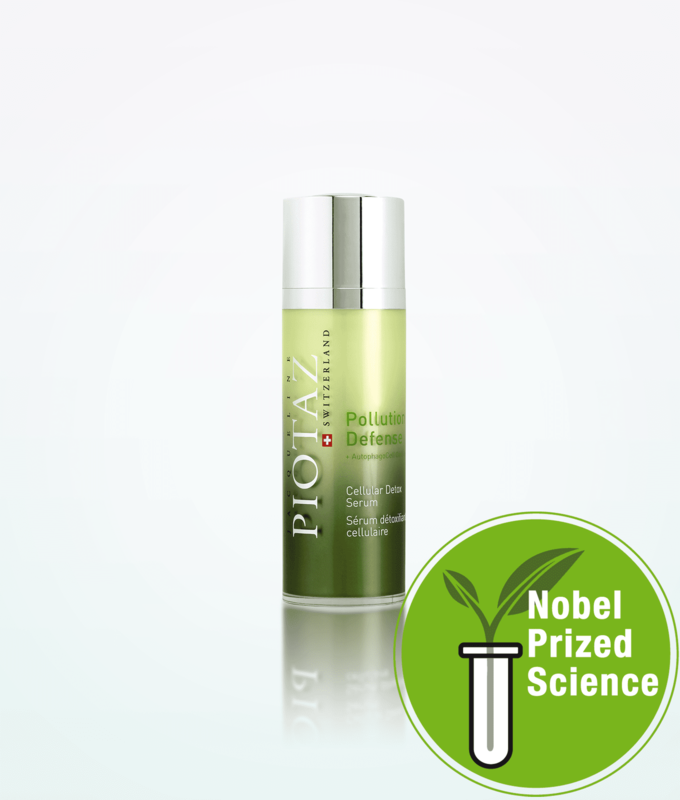 Remove toxins and pollutants and enjoy the smooth skin with the beautiful Jacqueline Piotaz Switzerland CellDetox Serum. It also calms irritated skin and reduces redness. Jacqueline Piotaz Switzerland CellDetox Serum moisturizes and hydrates the complexion with an exclusive vitamin complex that calms the appearance of redness. Furthermore, this silky formula helps to free the skin from toxins and prevent pollution. Also, it will protect the skin against the environment and skin aging. This product is part of the Pollution Defense collection. Same as the other products of this line, Jacqueline Piotaz CellDetox Serum shields your skin from environmental toxins and helps with reducing the early signs of aging with detoxifying, preventative skincare. All that with the help of Nobel prize-winning technology! The application of Jacqueline Piotaz CellDetox Serum is effortless. Just apply to cleansed skin of face and neck every morning and evening. And, that’s it! Also, try to follow the process with the CellProtect Eye Concentrate. Jacqueline Piotaz Switzerland is a luxury line of Swiss skincare products. The organic ingredients are the key factor in their production. Hence, there is no parabens, mineral oils, alcohol or vaseline. Rare Swiss plant species are the basis of each product formula. But it is not only about nature. They also use advanced biotechnology. In combination with nature, it provides luxury, effective skincare. Also, there was no animal testing!